It's been a super-busy spring and summer here at the Archive and some things are piling up in front of us - case in point, these recent arrivals! Right - back to work - we'll have news on new projects shortly once everyone's back from holidays - enjoy the rest of the summer! Here's a quick look at the design for the Imaginer 4 bookplates before they are tipped into the deluxe editions. Clive has signed all 100 and pre-orders are now set for shipping! 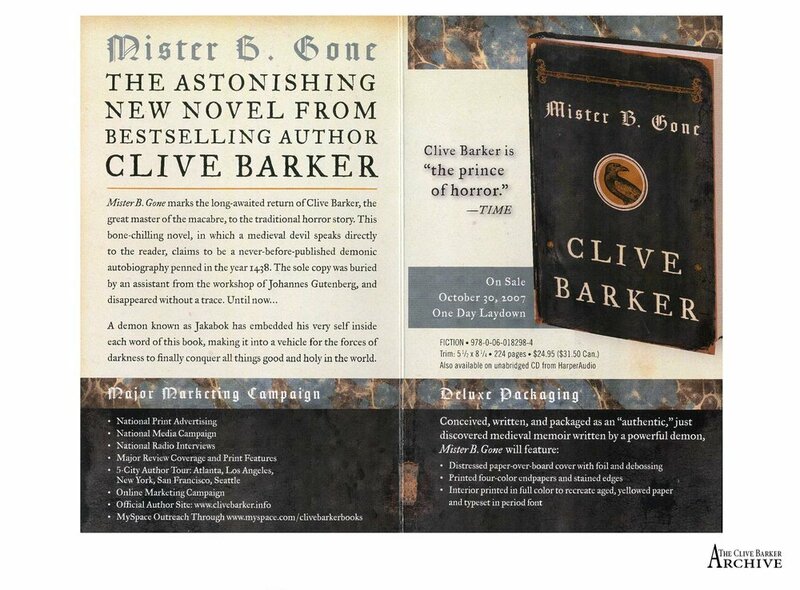 Just a quick update to let you know that we're preparing to ship pre-ordered copies of Clive Barker: Imaginer 4 out to North American customers! Pre-order rewards, including art cards and bookmarks, are also on their way! Those of you with a keen eye will have seen that we're running a little later on delivery of Imaginer 4 than we had hoped..! However, with all the books now safely printed and bound, we're tracking their steady progress across the oceans from Hong Kong... So, the all-important delivery dates: we're currently anticipating one batch to arrive in the United States and ship to North American customers in mid-May, and the remaining copies to arrive in the UK and ship to all other countries in early June. The even better news is that Clive has just signed off on the selection of canvases for the fifth Imaginer volume which is being laid-out as we speak - more on that very soon! In the meantime, and before we get too far ahead of ourselves, we're really impressed with the fourth volume - everyone in the production and design teams continues to work incredibly hard to maintain the quality of this fabulous series - and we can't wait to get it into your patient hands. Here are some quick snaps, so you can see what lies in wait for you on this one! Collecting and sorting Clive's work is only part of what we do and in the last few months we've had lots of great opportunities to share the manuscripts and artwork far and wide. In the gallery here, we've recently added images including behind-the-scenes shots from Hellraiser, storyboards from Lord of Illusions, rarely-seen material from publishers for Everville, Imajica and other novels and manuscript pages from Abarat and The Scarlet Gospels. If you've not visited in a while, do go take a look! Recently, we've been working through lots of new manuscripts and notes for projects both published and unpublished - it's like constructing a multi-dimensional jigsaw as we place work thematically and chronologically, often sheet by sheet. As the collections come together we're then able to make them available in different ways. And next up from us will be our book on the making of Hellraiser, the Imaginer art volumes and a series of Clive's plays. More news to follow! Forgive us for being a bit quiet here over the last few weeks... we and Clive have been busily working to make Imaginer Volume 4 as full of exciting images as we possibly can! In fact, we've jam-packed so many paintings into this book that we've decided to drop the section of exhibition photos this time to make way for more close-ups of the artwork. With proofs returned from the printer for inspection and hard work from all of the team, we've now approved it for printing and can update on delivery times - we expect the books will be with us in March and as soon as we get a detailed schedule from the printer we'll share that with everyone. As well as finalising Volume 4, we've spent the Christmas break (well, some of it at least!) drafting the selection for both of the next two volumes and Clive is looking at those as we speak. Thank you to all of you who have already secured your copy of this limited edition, without exception you have been lovely to talk to and we look forward to getting your copies safely to you. If you've not yet ordered a copy of Imaginer 4, do please remember that the lower pre-order price is only available until 31 January - so grab that whilst you can! Copies of earlier Imaginer volumes are also available now in the store. We're pleased to reveal the latest Imaginer cover image and to announce that pre-orders will open later today! 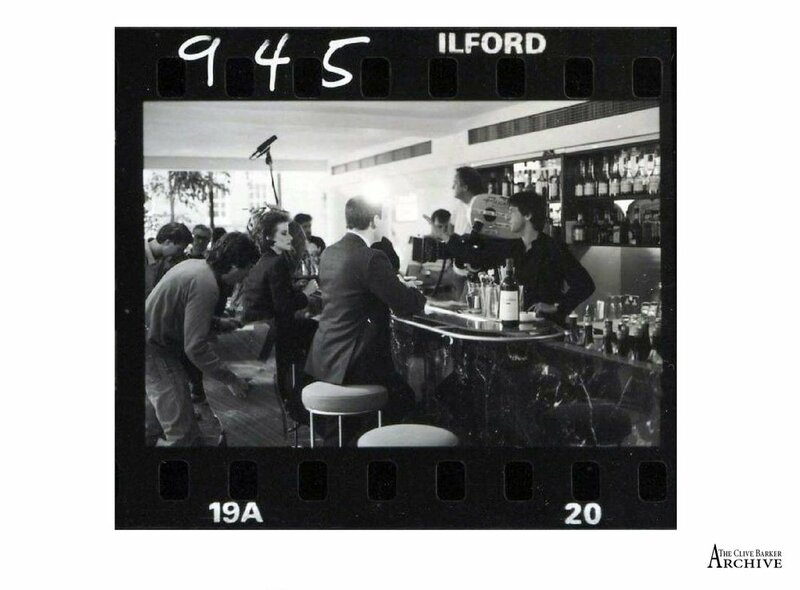 • LIMITED TIME ONLY - until 31 October 2016 - have your name printed in all copies as a special 'thank you' for your support of the Imaginer art archiving project by selecting the 'Deluxe edition With Thanks' option. These pre-order prices will remain available until 31 January 2017, when full retail prices will start to apply. As with Volume 3, all pre-ordered books will come with an exclusive A5 art card featuring art from the Imaginer series, together, this time, with an A4 mini-poster and a bookmark. Thanks again for all the wonderful feedback on Volume 3 - we can't wait to get Volume 4 out to you! At last! We now have all the remaining copies of Imaginer Volumes 1 and 2 in stock so for anyone who may have missed out on the original Kickstarter campaigns, now is the time to pick up a copy of these glorious books. We also have new art cards and notebooks available in the store featuring artwork from the Imaginer books - treat yourself or your friends! Shipments of Imaginer Volume 3 have arrived in our twin hubs of London and Los Angeles and we're delighted to report that the very first of the pre-order copies went out in the mail earlier today to new homes all around the world! Over the next few days we'll be working through the remaining pre-orders and getting copies out to their owners as swiftly as possible. We'd love to see you share your photos and comments as you receive your books? Clive says he 'adores' this new volume and we're incredibly pleased with both the quality and the content. Huge thanks again to Chet Zar for his afterword in this one. If you've not treated yourself to a copy yet, please do! Every new sale makes the completion of the series possible and funds the archiving of Clive's work for new and existing fans, readers and friends. Oh, and sales of Volumes 1 and 2 will start here in late August for those wishing to catch up with earlier volumes. We’re very excited to share that we have the advance copies of Imaginer 3 in our hands – and we’re incredibly pleased with how it has turned out! The limited print run – 1,000 copies of the regular edition and 100 copies of the deluxe clamshell edition – have been all been printed and started their journey… We'll continue to update here as we get a clearer view of delivery timings. We know that a number of people have been in touch hoping to ‘catch-up’ on earlier volumes – as soon as stock arrives here we’ll let everyone know and all remaining copies will be made available in the store.